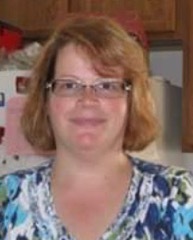 Carrie Ann Chandler, age 48, of Elwood, passed away after a sudden illness on Monday, March 25, 2019 at Community hospital in Anderson. Carrie was born on November 23, 1970 in Groton, Connecticut to John and Barbara (Pruyn) Chandler. Carrie worked as a Data Information Specialist for Phoenix Data Corporation in Marion, IN. In her spare time she enjoyed doing needle work and making crafts. Carrie was an excellent baker and her chocolate chip cookies were a favorite of her friends and family. Carrie is survived by her parents, John & Barbara (Pruyn) Chandler,, 2 sons, Austin French and Michael French, sister, Colleen (Richard) Gallik, 3 brothers, David (Sharon) Chandler, Robert (Nancy) Chandler, and Eric Chandler, several nieces and nephews, and cousin, Kristen (Michael ) Schmidt. Carrie was preceded in death by her maternal grandparents and her paternal grandparents. A Mass of Christian Burial will be conducted at 11:00 am Friday, March 29, 2019 at St. Joseph Catholic Church, Elwood with Father Dan Duff officiating. Cremation will follow. Visitation will be Thursday, March 28, 2019, 4:00 pm - 8:00 pm, at Dunnichay Funeral Home, 1113 South A Street, Elwood, Indiana.